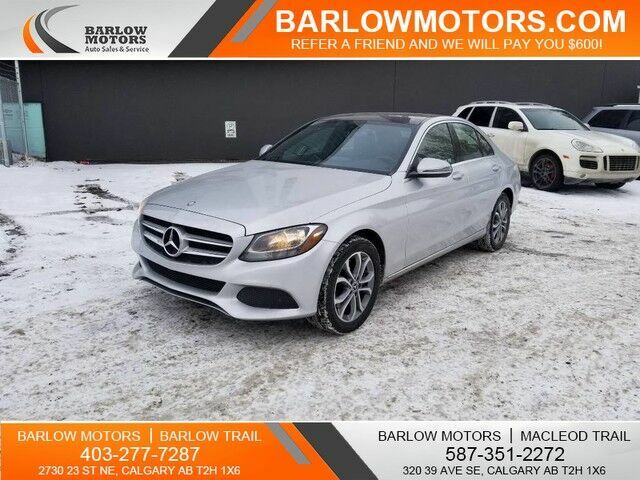 Barlow Motors is pleased to be currently offering this 2017 Mercedes-Benz C-Class C 300 with 48,000km. Indulge yourself with one of the most highly crafted, most luxurious automobiles available today. Hit the gas pedal and put the engine power to all four wheels. With AWD, you'll have the greater performance right off the line, everytime you drive. Driven by many, but adored by more, the Mercedes-Benz C-Class C 300 is a perfect addition to any home. This vehicle won't last long, take it home today. Come see Barlow Motors' quality used cars, trucks, SUVS, vans, luxury vehicles and more. Apply today, drive today. Financing available on all pre-owned vehicles!